Ball-Pythons.net - Take a look at this lovely pair of hypo 100% het albino, 100% het blood boa constrictors. RedtailBoa.net - Nice photos of two beautiful salmon het ivory ghost boa constrictors. 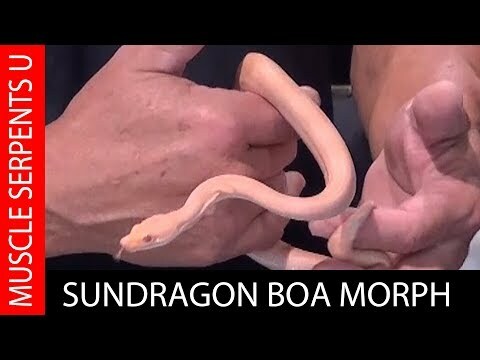 Reptile Forums UK - A couple of gorgeous boa constrictors are sure to produce some stunning snows in the next breeding season. BeardedDragon.org - This crazy hypo trans red bearded dragon juvenile has some intense coloration at six weeks old.